This gentle painting evokes a serene calm. The quiet of a tropical night, just before bed, comforting and soft in its' light greens and muted whites. 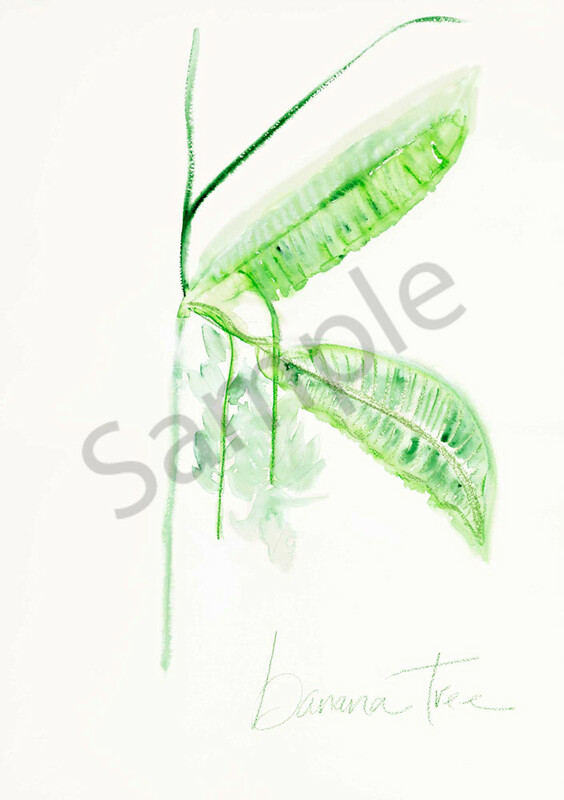 Painted as part of a collection of four, of the banana tree deconstructed, if you enjoy this piece, you may like to enjoy "Simple is Beautiful," "West Coast Palm", and "Summer in the Tropics."